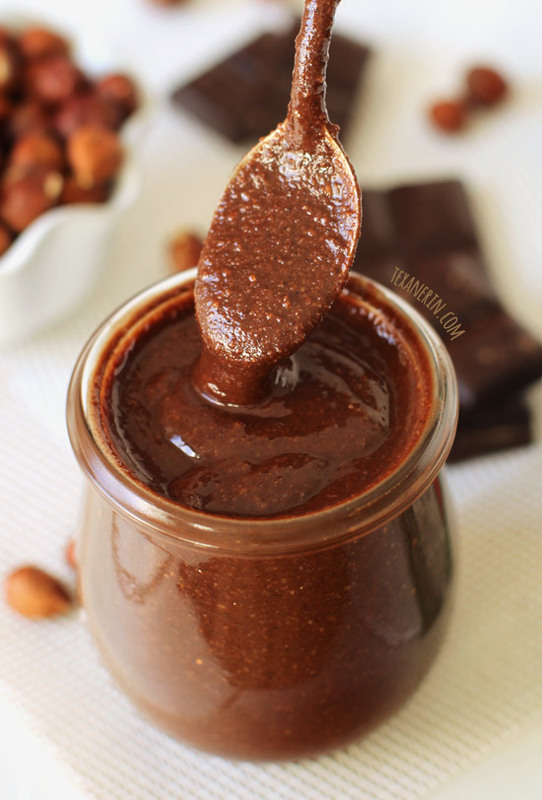 This naturally sweetened chocolate hazelnut butter spread has just four ingredients and only takes minutes to make! I already have a chocolate peanut butter spread recipe up, but this one is a little different (other than the whole nut type thing). 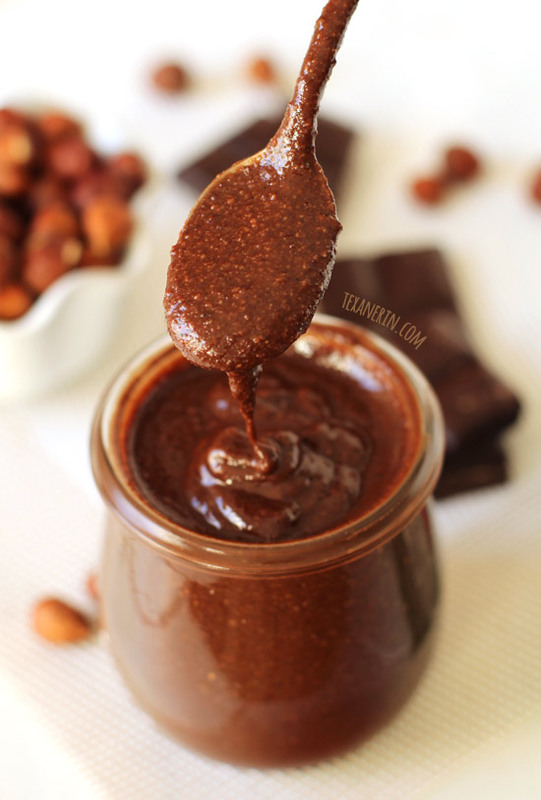 This chocolate hazelnut spread uses Dutch process cocoa powder for the chocolate flavor and coconut sugar to sweeten. The chocolate peanut butter uses a little cocoa powder, but mostly chocolate chips to flavor and sweeten it, meaning this hazelnut butter is technically a little healthier. Sugar is sugar but if you like to naturally sweeten stuff, this is your recipe! It also means that this version is naturally dairy-free and vegan. 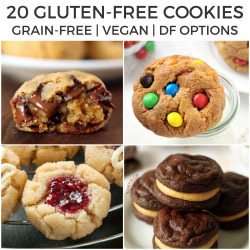 And like the peanut butter, naturally gluten-free! To be honest, he’s correct in that this chocolate hazelnut butter doesn’t taste much like Nutella. Or okay – at all. It’s not as smooth and not nearly as sweet, but it is chocolatey. And much more hazelnut-y. Chocolatey using cocoa powder and not that much sugar. I used a range of amounts for both of those ingredients, just because I have quite the sweet tooth and don’t like dark chocolate, so the amount of sugar I use might not (and hopefully won’t be!) what you need. I’ve used this hazelnut butter a few times in no-bake recipes in place of Nutella and it’s worked out well so far. I’ve also used it in these chocolate banana muffins without a problem. In those, the hazelnut butter is just a swirl on top of the muffins and not mixed into the batter. If you want to make something where Nutella is called for and mixed in with the batter, I’m not positive how that’d work out. I guess I need to experiment! I normally use blanched and roasted hazelnuts when I make this recipe because I’m lazy and hate blanching nuts, but I’ve included the directions on how to roast and then de-skin the nuts just a little. If you want to be really thorough about it, check out Stacy’s how-to on blanching hazelnuts. 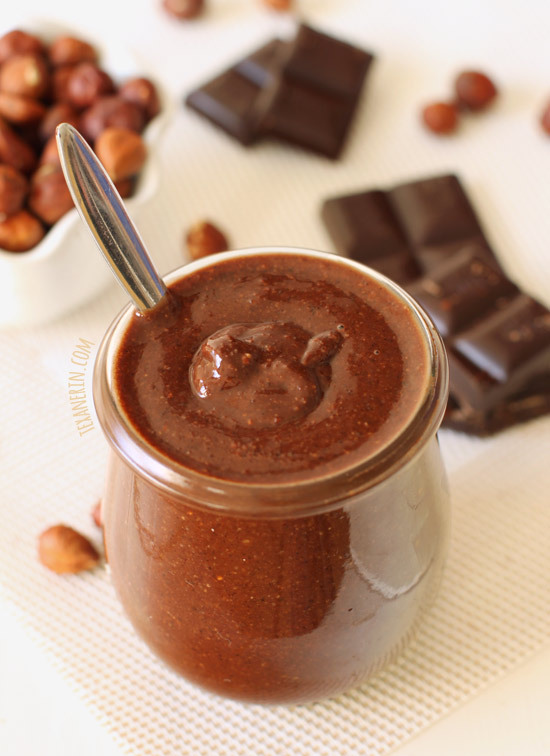 53 comments on “Paleo Homemade Chocolate Hazelnut Butter (vegan)” — Add one! Enjoyed how simple this recipe was…mine came out way too creamy….pors rather than scoops…it’s still yummy and will definitely try again! Thanks! Thanks so much for the recipe, just love Nutella and it smells and tastes awesome! I live in Germany too and after reading your comments decided to add vanilla sugar because you said that vanilla essence wouldn’t work but would taste great and it really does. The recipe really works perfectly if the hazelnuts are at the right temp as you said, mine is creamy and didn’t have to add any liquids at all. This looks Yum! Can i substutue the coconut sugar with something else instead like stevia? I think you could use whatever granulated sweetener you’d like! I’ve never used stevia so I can’t say for sure, though. I tried this recipe tonight and failed… I used my food processor (Cuisinart), but it never turned into “butter.” I ended up with a very fine, slightly moist, powder/meal. Advice? I have no hazelnuts, would I be able to sub peanut butter or almond butter ? If so, how much would I use…500g? Sorry for my slow reply! I just now saw this. If you want to use peanuts, you could make my chocolate peanut butter spread recipe. :) If you want to experiment with this recipe, use the same amount of whatever nuts in place of the hazelnuts. Hi there, today I tried hazelnut butter, I did not look up a recipe until I had already started. Needless to say I did not roast or skin the nuts. There was bitterness but after I added coconut sugar it solved the problem. Next time I will take the skins off.. Can they be blanched to get skins removed then roast them?. Thanks for sharing. They can! Check out the paragraph before the recipe box. And in the recipe box, I wrote how I take care of the skins, which I think is a little easier. :) I hope that helps and your next batch will come out better! thanks so much for your reply. I will try this the next time. One more question in regard to your peanut butter spread (which I also want to try). I noticed it does use a “liquid” in form of melted chocolate. Have you had any trouble with that one becoming to thick? Thanks. By the way, do you still live in Germany? 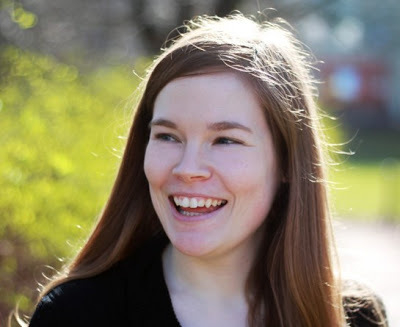 Is your book available in a German version as well? I believe the issue with adding syrups (agave, honey or maple) to nut butters is that syrup is water-based, whereas nut butter is oil-based. Since oils and water do not mix, the addition of maple syrup caused the butter to ‘seize up’. Chocolate is largely fat (oil-based), so whether it is liquid or solid, it will blend with the nut butter. If the butter seizes up on contact with water-based liquids, I have found that adding even more water-based liquids (milk or water) will eventually relax the mixture until it is creamy enough to fool my kids! Oh My! Erin, your recipe is fantastic. Keeping in the spirit of Paleo, I substituted three pitted dates for the sugar and consistency-wise, I think it turned out alright. But as you say, sugar is sugar. It’s just sweet enough for my taste and the hazelnut and dark cocoa flavours shine through. Thanks so much for sharing. I suppose sugar is sugar but I definitely prefer using dates when possible. ;) And here it sounds lovely! Thanks for the idea and for your kind comment. I’m so happy that you enjoyed it! Can’t wait to try it this weekend! Aww, thanks! So nice of you to say. :) You totally made my day. And I hope you’ll love the hazelnut butter! Thanks! It does have to be refrigerated. Check out the last line of the recipe. :) I hope you’ll enjoy it! Can you tell me why you chose coconut sugar? I’ve used it in a few other recipes and I’m just wondering it’s benefits over white sugar or something like honey? My kids and I just made it and it is to. die. for. Thanks! Oh boy, I just want to eat it straight from the jar! ohhhhh!! My mouth is watering now! This looks so rich and fabulous! Can’t wait to try! This sounds way better than regular nutella! I love how you can customise it to be as sweet as you want it. I just love nutella and can’t wait to try this recipe. Looks so yummy! The only problem with making this is I would end up eating the whole jar! So luscious! It looks so good! I’m looking at choco-hazelnut spreads for ages. Now I think I have to make one finally. Just I think we don’t have coconut sugar – would it be better to change to white sugar or brown sugar? White sugar would work just fine! Might even be better with that. ;) I hope you’ll enjoy it! Now THIS is a must try Erin! Intense hazelnut flavor, lots of chocolate… right up my alley.